Jan. 23 is National Pie Day. It might as well be Mother’s Day too. For me, nothing says mom better than a homemade pie, apple pie in particular. This version always has been a favorite of mine. This pie requires only a single pie crust, so make your favorite pie crust or use a single pre-made crust. After slicing the apples, place them in a large self-sealing plastic bag or container and add the filling ingredients. Shake the mixture so the apple slices are coated and allow them to sit for 1 to 2 hours. Adjust your oven rack to the middle position and heat the oven to 350 degrees F. Place and gently press the single pie dough crust in a 9-inch pie plate. Crimp the dough with your fingers around the edge of the pie plate and place in the refrigerator to chill. Stir all topping ingredients in a bowl until there are no dry spots and the mixture forms clumps. Put the filling in the pie plate, distributing it evenly onto the unbaked crust. Then distribute the topping across the fruit-filled pie, patting it lightly. 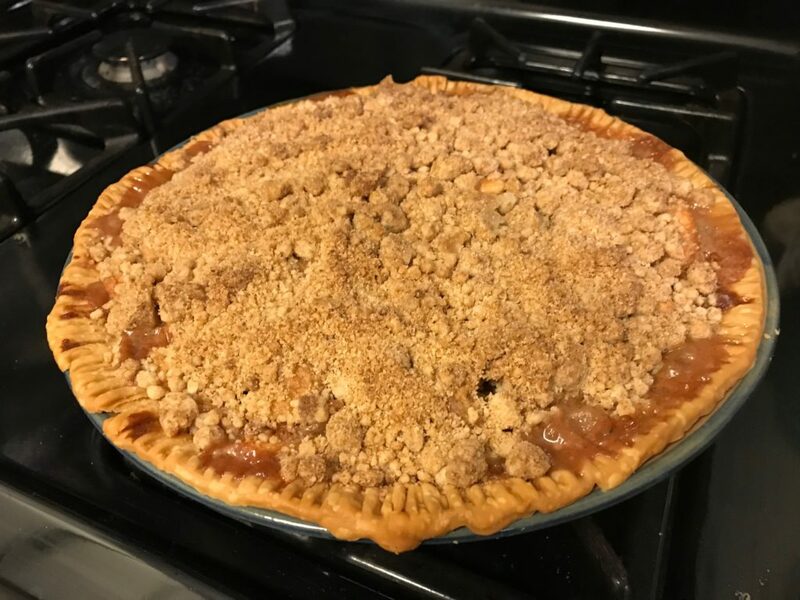 Place the pie plate on a baking sheet and bake the pie for 1 hour and 10 minutes, rotating the sheet halfway through baking. When done, allow the pie to cool for at least 4 hours, preferably overnight, before serving. KITCHEN TIP: Variety makes a better-tasting apple pie. 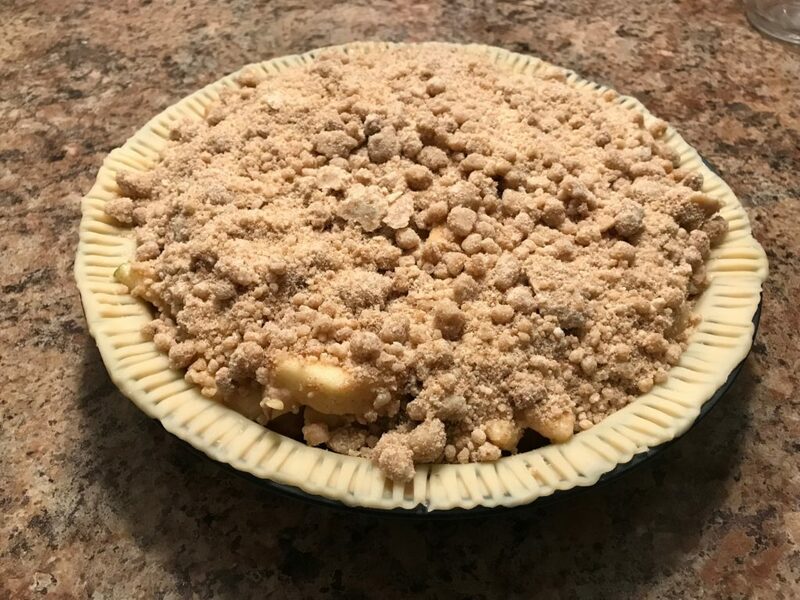 Chose a variety of sweet apple (Braeburn, Golden Delicious or Jonagold) and a tart variety (Granny Smith, Cortland or Empire) for the filling.